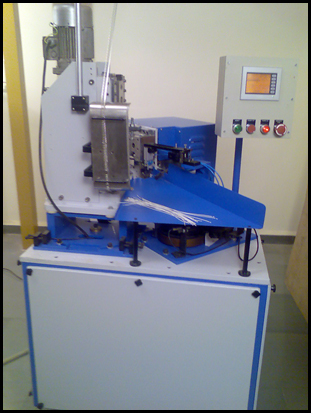 ∗ Machine for automatic Cutting, Stripping & Crimping of PVC insulated wires. ∗ Wire length Min 60mm to max 10 mtrs. ∗ Unique Touch Panel Control. ∗ Optional “Crimp Quality Monitor” available at extra cost. ∗ Strong & Sturdy machine. Address : C-1, D-1, Digvijay Industrial Estate No. 2, Pokhran Road No. 1, Upvan, Thane (West) - 400 606, Maharashtra, India.